2 What is appendix pain? 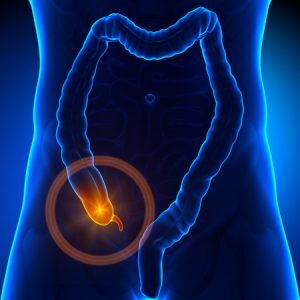 9 How to prevent Appendix pain? 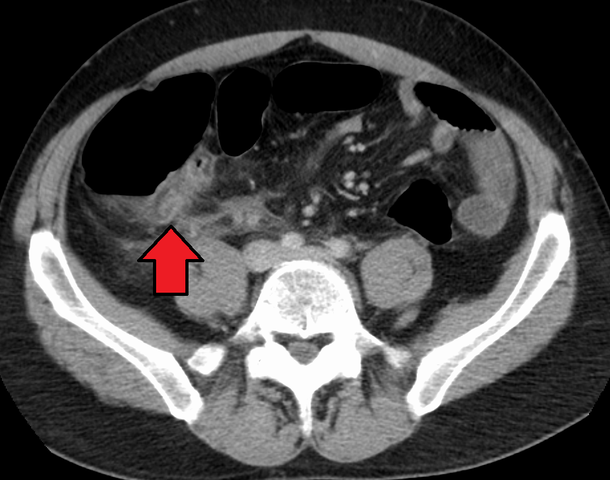 The appendix is a small, thin pouch and worm-like structure that is present in the colon and connected to the large intestine. It is anatomically termed as the vermiform appendix which means worm-like. The appendix is located in the lower part on the right-hand side of the abdomen and is usually a closed-ended, narrow tubular tissue, i.e., about 5-10 cm (approximately 4 inches long). Appendix pain medically termed as appendicitis is a painful swelling of the appendix present in the cecum of the colon. If not appropriately treated on time, it might burst and be life-threatening. Pressing on that area, coughing or a walk may increase the pain making the situation worse. It can happen to any person at any point of time but is common more in men than women. Appendicitis occurs mostly between the ages of 10 to 30 years. An appendix pain develops mainly in the middle of the abdomen which may appear and go but gradually moves to the lower part of the right-hand side of the abdomen. The pain becomes constant, and with time it becomes severe. Cancer: Mostly rare, the presence of cancerous tumor might cause a blockage in appendix causing pain in that area. Infection: Any obstruction might eventually lead to an infection that makes the appendix inflamed as a natural reaction. A feeling of tenderness in the abdomen. 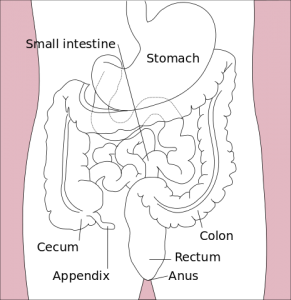 Inflammation tends to develop a lump or a structure in the right lower abdomen. This mass grows due to the scarring caused by the medicines used for healing and might increase the risk of cancer in the abdomen. 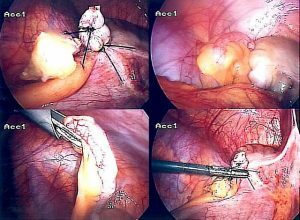 Perforation is the most critical issue that may lead to a peri-appendiceal abscess (segregation of infectious pus). It may also lead to infections in the entire lining of the abdomen wall and the pelvis. The complication occurs mainly due to delay in diagnosis and proper treatment. Another severe complication occurs when the infectious bacteria enters the blood and affects other parts of the body too. This condition called sepsis is a rare yet very serious condition that can even be life-threatening. Blockage in the intestinal wall due to the inflammation around the appendix leads to compression of the intestine. Due to blockage, the intestine fills with gas and liquids with symptoms like nausea and vomiting. At times, the appendix gets healed without surgery if the rupture happens with infection and inflammation. However, the symptoms may also go away with the use of antibiotics, especially in case of older people. As soon as the appendix gets diagnosed, it should be immediately removed by appendectomy to avoid the risk of an appendix burst. It is done under anesthesia either by a keyhole (laparoscopy) or open surgery. 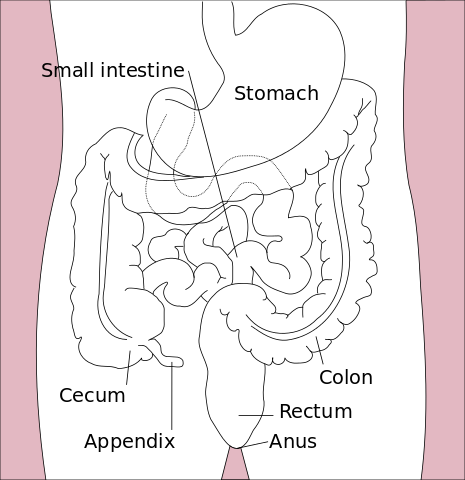 However, keyhole surgery is preferable as the patient recovers sooner than the open technique. In case the lump or mass comprises of fatty tissue, it recovers and heals the issue on its own. However, if it is located during diagnosis, doctors might advise surgery wherein the patient is treated first with antibiotics and then operated a few weeks later. In some instances, the operation is not at all necessary, and the lump may disappear with medicines only. How to prevent Appendix pain?